This book challenges the conventional wisdom about classical political economy and the rise of capitalism. 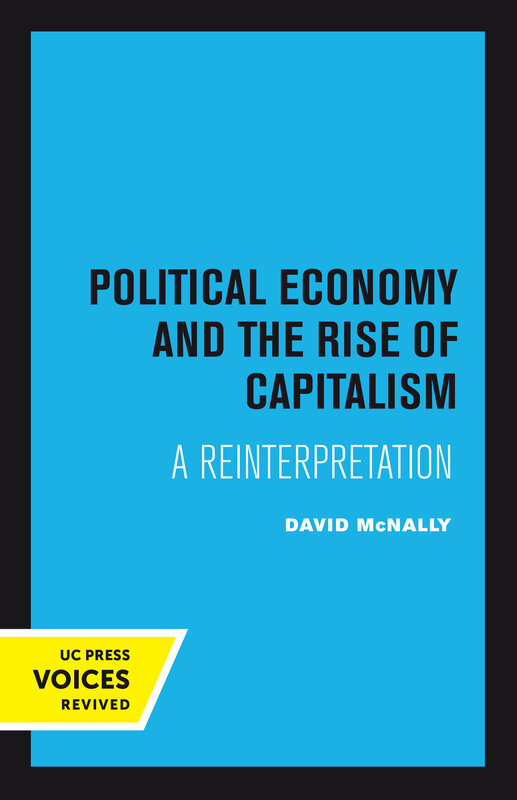 It is written in the conviction that modern interpretations of political economy have suffered terribly from acceptance of the prevailing liberal view of the origins and development of capitalist society. By the liberal account, capitalism emerged out of the centuries-old competitive activities of merchants and manufacturers in rational pursuit of their individual economic self-interest. Over time, this account claims, the persistent activity of these classes developed new forms of wealth and productive resources and new intellectual and cultural habits, which eroded the existing structure of society. The rise of capitalism is thus explained in terms of the rise to prominence of the most productive, rational, and progressive social groups—merchants and manufacturers. Not surprisingly, classical political economy came to be seen as an intellectual reflection of the ascendance of merchants and manufacturers and as a theoretical justification of their interests and activities. This book argues that capitalism was the product of an immense transformation in the social relationships of landed society and that this fact is crucial to understanding the development of classical political economy. Without a radical transformation of the agrarian economy, the activities of merchants and manufacturers would have remained strictly confined. By no inexorable logic of their own were mercantile and industrial activities capable of fundamentally transforming the essential relations of precapitalist society. Rather, the changes in agrarian economy, which drove rural producers from their land, forced them onto the labour market as wage labourers for their means of subsistence, and refashioned farming as an economic activity based upon the production of agricultural commodities for profit on the market, established the essential relations of modern capitalism. In what follows, these processes are described in terms of the emergence of agrarian capitalism. David McNally is Professor of Political Science at York University, Toronto.